We are a Wedding Invitations and Accessories Company. At Band and Bride we aim to make your wedding day even special, we are not just an online store; we bring our wedding creations to your doorstep. 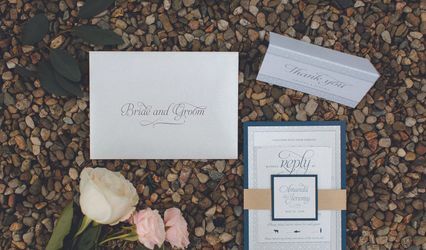 We offer a free showing of our invitations and accessories at the comfort of your home; we are confident that our extravagant designs and excellent customer service will WOW you!! We cater to all your wedding needs or ideas. So give us a call or shoot an email and we will make it happen for you. Band and Bride did a fabulous job on our invites! I originally envisioned the “boxed” invitation, but due to the amount we needed for our guest and the weight for shipping, I had to envision something different. Band and Bride has a vast amount of variety that is made custom to your sense of style. The best part was being able to make our invitations super personal! There is no such thing as impossible when working with Band and Bride. Color coordination, fonts, and fabric were best of the best. If you want quality work at a budget price this is the company to work with. Our family and friends couldn’t stop talking about our custom invites! We will continue to use Band and Bride for upcoming events! 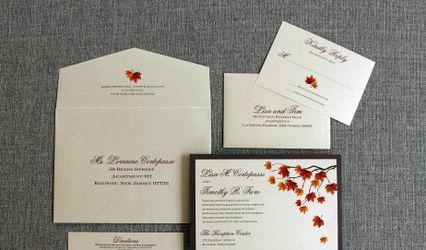 Band & Bride provides unique wedding invitations at an affordable cost. Our invitations looked fitting for a royal wedding, but we received them on a humble budget. Band & Bride patiently worked with us to create exactly what we wanted in our invitation, from the color and writing, to the design. Every detail was addressed and done in perfection. There was constant and prompt e-mail communication. They listened to exactly what we wanted in every aspect and created the best invitation I have ever seen. Everyone who received our invites raved about how beautiful and unique they were and that they have never seen an invite like ours before. These exclusive wedding invitations have made us even more excited for our wedding and has everyone looking forward to it even more. We highly recommend the Band & Bride Company and are beyond satisfied with their service. I am writing to express how wonderful it was to work with you! I did not have to explain myself or try and convey my ideas to you-you simply got a a feel for my taste and went running with it! I loved my invitations and my wedding programs! The craftsmanship and personal touches were definitely apparent. My relatives and friends were so impressed at the elegance of my invites! The bansuris that you special ordered for my give away for my sangeet were exactly what I wanted. 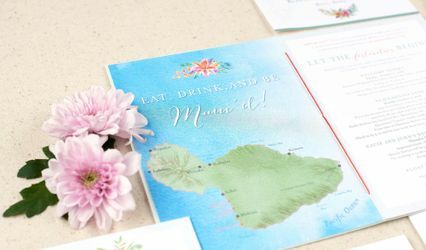 Even when I ran short of my invitations you were able to expedite a second shipment and make my process so smooth and seamless. Thank you so much! I am truly happy with my experience with you!